Muni Forward is the first comprehensive effort in over 25 years to review Muni and recommend ways to transform it into a faster, more reliable, and more efficient public transit system. The project has included best practices research and extensive public outreach to community stakeholders, policy makers and SFMTA employees. 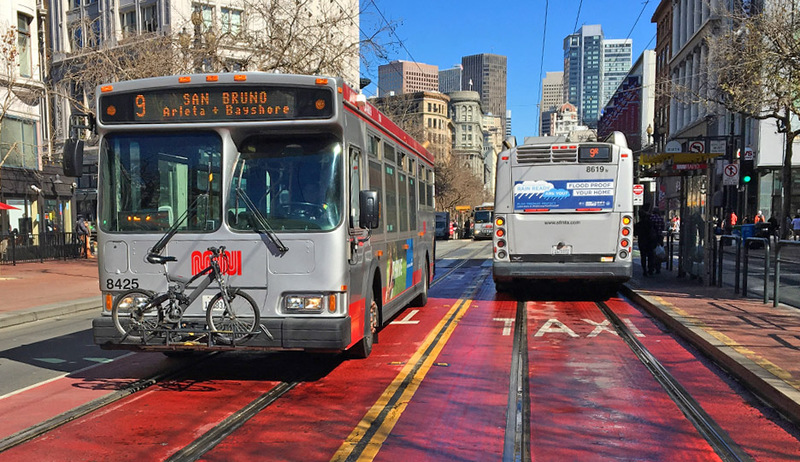 The Phase 1 study recommendations focus on service factors aimed at increasing convenience for Muni’s 700,000 daily customers: improved reliability, reduced travel time, more frequent service and updated Muni bus routes and rail lines. Examples include new routes and route extensions, more service on busy routes, and elimination or consolidation of certain routes or route segments with low ridership. Phase 2 of the project focused on implementing these recommendations. CHS Consulting Group has been involved in this project since its inception in 2006. For Phase 1, CHS was responsible for reviewing service policies and operating procedures, including analyses of overall route structure, factors affecting service reliability, and the efficiency of transit operations for the light rail system and over 70 Muni bus lines. For the operations review, CHS performed schedule review and evaluated service management practices. For Phase 2, CHS has been working closely with SFMTA staff and continuing to support the design of Muni system run cuts and route modifications, including revisions adopted in 2009 and 2011. CHS assisted the Operations Planning group in refining recommendations and provided technical assistance to the Scheduling unit during personnel transitions. Ongoing services since 2010 include providing detailed scheduling and service planning instruction for several implementation tasks, and detailing recommendations for special projects prior to full implementation.